The Weather Tight Showroom in Brookfield is now closed, but we still provide great products to homeowners in the Brookfield area. We now service all of our customers at our West Allis Showroom. Weather Tight is a family-owned and -operated company that got its start in 1986. For the past 30 years, we’ve been supplying our customers with high quality home improvement services including the installation of windows, doors, siding, roofing, and gutters. Make sure you give us a call at 414-459-3874 when you’re ready to update your home. We offer free in-home, no-obligation consultations and price quotes so you can feel comfortable knowing we won’t pressure you into anything. Plus, we’ll take care of warranties for you. Our work truly is full service—we’ve served over 25,000 satisfied customers! Read through our testimonials and learn about us to find out why we are the best choice for updating your Brookfield home. And feel free to contact us online. We are ready to get to work on your home when you are. Our old windows were set in mortar, and the mortar had to be removed in order to remove the windows. My only complaint is that I really wanted to save / sell the old windows, but the crew decided the only way to remove the mortar was to cut through the old frames first. I agreed but I still thought the mortar could have been removed without destroying the old windows. Otherwise Brian and the crew did a fine job. Mr. Brown and his crew did a very good job in a timely fashion. He pointed things out that I wasn't aware of and helped me make good decisions. We were very happy with the work Jeremy and his crew did. They were very thorough, making sure everything was done to our satisfaction. At the conclusion of work each day they cleaned up everything and always left things neat. Robert & Sabin did a great job. Robert has been here for the front room window. Will, the installer, was incredibly thorough, absolutely well-mannered, and very professional. 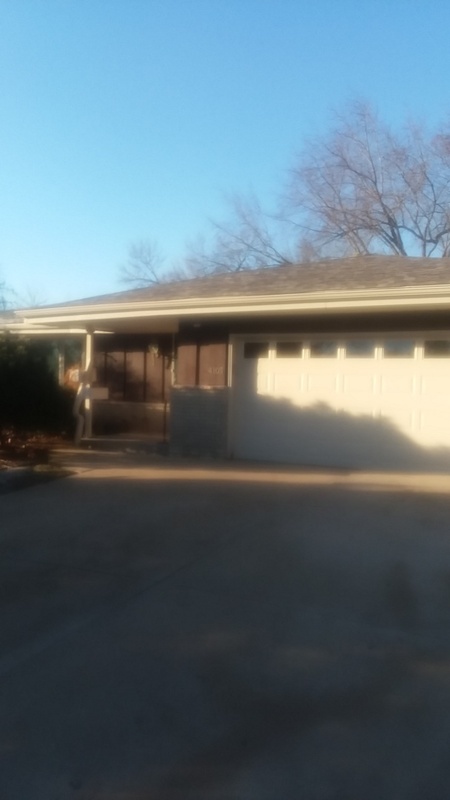 I felt confident in the skill and quality of his work and trusted all his recommendations for what should be done regarding the hidden damage discovered after removing the old windows. It's reassuring to know that I will be heading into the upcoming winter with new solid and secure dining room windows. Everything concerning installation of 5 large windows was terrific. The salesman was informative. The installation team of Steve E., Sabin, Robert and Ryan was terrific - very efficient, neat and kept us informed about all activity. We will be planning to use Weather Tight for our future needs for our home. At Weather Tight, we are fully committed to providing our customers with only the most energy-efficient windows around, because we understand how important your home improvement project is. Are you looking for sliding, garden, double hung, casement, full-frame, or bow and bay windows? Then you’re in luck! Weather Tight offers all of these options so you can beautifully update your Brookfield home. Improve its look and energy efficiency with windows that keep weather out and can save you money on utility bills. And you can rest easy knowing our windows are backed with a lifetime transferable warranty. Most of our options are available to view and demo right here at our West Allis Showroom—we’d love to show you around, answer any questions you have, and offer our professional recommendations. Before you visit, feel free to take a virtual online tour of our showroom to see what we have available. If you’re looking to update your Brookfield home, talk to our team about your siding options. A new siding installation can keep your home free of moisture and improve its energy efficiency, and value. Vinyl siding is a great option when you’re ready to improve your home, and it comes in many different colors so you can truly personalize it. Plus, you can add shakes and scallops as an additional accent. While you’re at it, why not have new doors installed? They’ll add curb appeal to your home and help you feel more secure and safe. We offer door options including entry doors, patio doors, and fire doors to ensure you find what you’re looking for. Whether your front door is wearing out or your back patio door isn’t sliding like it used to, our team would be glad to assist you in improving your home. Read more about our options online or give us a call. A leaky roof is a serious concern that should be dealt with by a professional—like a member of our Weather Tight team. 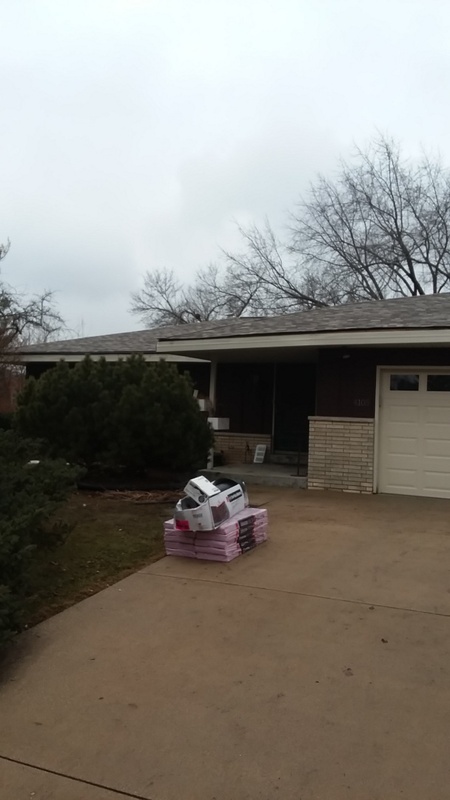 Our roofing options include high-quality metal roofing and asphalt shingle roofing. If you’re not sure which is right for your Brookfield home, our experienced team can recommend reliable and cost-effective options. They can even recommend gutters and gutter protection to go along with your new roof. Attention to detail is incredibly important when dealing with home protection aspects like roofing. That’s why we will properly install your updates and then make recommendations for soffit and fascia which is often overlooked on homes. These allow air to flow into your attic and they cover the space between an exterior wall and projecting eaves to ensure a tight seal where it’s needed most. Our Weather Tight services are just that—they keep weather out. Brookfield is a lively, active suburb located straight west of Milwaukee. It’s home to Brookfield Square Mall and Biloba Brewing Company which features a nice variety of beers in a welcoming taproom setting. You can also go mini golfing at Tee Aire Golf Range and Miniature Golf, see a movie at the Majestic Cinema of Brookfield, or enjoy a delicious meal and wine tasting at Cooper’s Hawk Winery & Restaurant. 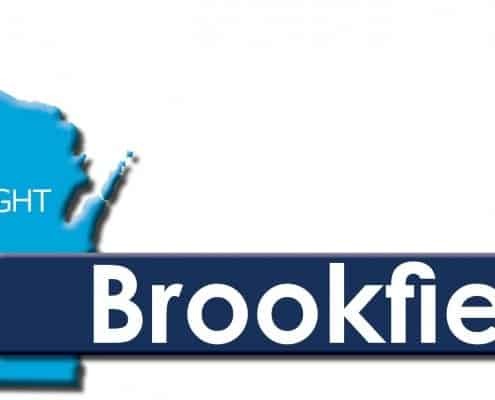 Brookfield has something to offer just about everyone—that’s why it’s such a desirable place to visit. Plus, it’s just minutes from Milwaukee so you can always head downtown for a professional sports game or big-name concert. If you are coming to our location from Brookfield, drive east on West North Avenue for 2.6 miles and then turn right to merge onto US-41 South/US-45 South. Continue on US-45 South for 5.1 miles as it turns into I-894 East/US-45 South and then take Exit 2B for Oklahoma Avenue. Turn right onto Milwaukee NN/West Oklahoma Avenue and you will see our location on the right.